Well? 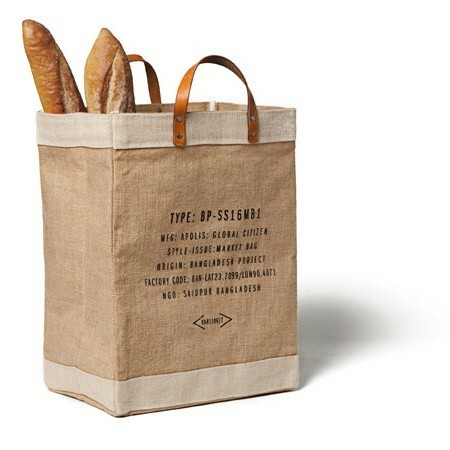 If I’m going to carry a market bag around all the time to avoid using plastic, I deserve to have a nice one, right? Don’t you? This one is made of jute, with beautiful tan leather handles and antique nickel rivets, which alone would be reason enough to love it. But then there’s the fact that Apolis’ bags are made in Bangladesh, in partnership with Saidpur Enterprises, who is concerned with creating jobs for women and supporting local farmers and craftspeople. It’s kind of Apolis’s thing to partner with local manufacturers globally who do the same. 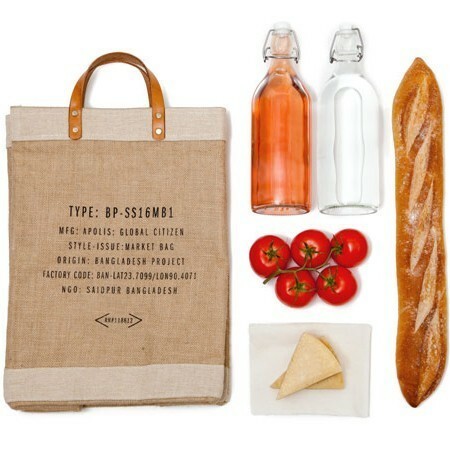 Love them for that or for their wide array of well designed, stylish goods and great taste. That’s also totally their thing.